Telford Group are the leading UK distributors of Cepro welding curtains and welding blankets. Cepro is the latest brand to be added to our exclusive UK import and distribution package. The Dutch company hold the leading position in the welding spot separation safety products market. They are offered exclusively through a selected network of quality welding distributors. These operate throughout Europe and worldwide. Cepro products are made out of the finest fire retardant materials. They have become an essential for welding environments over the past 25 years. Whilst it is possible to melt and damage a welding blanket, they will never burn. This means there is less risk of a fire developing during operations. Welding curtains and welding blankets have several different uses. They are often employed as an emergency solution in the event of stray sparks causing a fire. 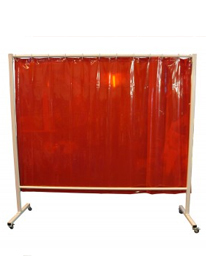 Tear resistant woven glass fibre constructs these welding curtains and blankets. Cepro offer a wide range of welding blankets, welding curtains, screens and tents. This includes the Gazelle Welding Screens, Saturn Welding Blankets and Omnium Welding Screen. Cepro offer the highest quality product range. Products are all tested to the highest European standards. Data sheets and full European certification is available for all products. Single screens and welding blankets are available from The Welding Superstore. Cepro also offer bespoke solutions to meet customer’s exact needs. Welding Curtains protect those nearby from spatter, radiation and harmful rays. Exposure to Blue Light and Ultra Violet rays can cause damage to the eyes. Prolonged exposure has can cause cataracts and actnic conjunctivitis. All welding curtains come with strong synthetic eyelets in the top seam. This allows secure hanging, to ensure the welding curtain stays in place. Also included is a full set of steel suspension rings. There are snap fasteners down both sides of the welding curtains. This allows the welding curtains to be fastened together. These curtains are available in different widths. This means the desired coverage can be achieved. All Cepro welding curtains are approved in accordance with ISO EN 25980. A 5cm wide seal is given all the way round curtains to prevent fraying. It is important to note that welding curtains are not suitable to be used as welding blankets. This is because they cannot withstand intense heat or open flames. Welding curtains are self extinguishing, meaning that they can withstand sparks easily. A wide variety of welding blankets are also available. There are products available for both vertical and horizontal use. This means that there is sure to be something to meet your needs. 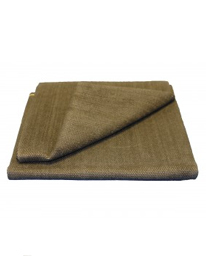 Welding blankets are available in different fabrics to suit your needs. This includes the commonly used Silica and Fibreglass. For added protection, different coatings are also available. For extreme temperatures, we recommend silica welding blankets. These can withstand temperatures of up to 1000OC, with a peak temperature of up to 1300OC. They are also completely asbestos free and environmentally non-hazardous. This makes them extremely safe for the user. For lower temperatures, and lighter welding or grinding jobs, Cepro have a range of economy welding blankets. These are ideal for such applications. These welding blankets are available as either 1 or 2 sided to suit your needs. There is also an option for a silicone coated blanket. Silicone coated blankets are resistant to oil grease and even acid. For a blanket that is ideal for many uses, fibreglass fabrics are great. These blankets work perfectly when cut straight from the roll. This is because they have excellent resistance to fray. These blankets are also asbestos free for safer use. Capri offer excellent technical support. This varies from 3-D CAD designs to turn key project supplies. All products are of superior quality, for an excellent price. Telford Group Ltd has been appointed national distributors. We can resolve your welding safety requirements.